We are excited to partner with DiSa to gain greater visibility to our entire supply chain from farm to customer and keep consumers safe with greater protection from recalls. 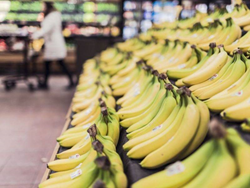 The Company is pleased to announce that Bailey Produce, a leader in delivering quality organic produce around the globe, recently partnered with Disa Digital Safety (USA) (“DiSa”) to equip its bananas with DiSa’s FreshCounts Smart Barcode technology. This technology allows them to digitally track each individual bunch of bananas from the farm to the consumer. This will reduce spoilage by monitoring sales along with expiration dates and keep consumers safe by blocking the sale at the register if the item is recalled. "We are excited to partner with DiSa to gain greater visibility to our entire supply chain from farm to customer and keep consumers safe with greater protection from recalls," said Brendan Hayes, Bailey Produce. This will be the first solution with a national retailer that allows digital tracking through the supply chain to the individual item at store and consumer level. The solution is still in testing. Product launch is expected within the next few months. This adoption of DiSa’s FreshCounts Smart Barcode technology is not expected to have any material impact on the net tangible assets or earnings per share of the Group for the current financial year ending 30 June 2019. Bailey Produce delivers quality food and agricultural products around the globe. The goal is to create competitive advantage for clients globally, through quality fresh produce. The Bailey Produce team consists of; in-country professionals, logistics personnel, quality inspectors, and merchandising and retail analysts. Visit http://www.baileyproduce.com/ for more information. Disa Digital Safety (USA), an ultimately wholly-owned subsidiary of DISA Limited, provides digital asset protection with the PoSA Solution. The DiSa PoSA Solution is the world’s first fully digital asset protection technology for consumer electronic products allowing for open sell retail environments. Each device is assigned a unique activation code and is digitally locked preventing theft by rendering the devices inoperable from the point-of-production to the point-of-sale at retail stores. The device remains locked until the buyer activates the device using a one-time activation code that is printed on the retail sales receipt. Once activated, the device remains permanently unlocked and fully functional. DiSa offers full support to manufacturers, retailers, and consumers. In 2017, Single-Scan Serialization (“3S Smart Barcode”) was launched on non-electronic products to prevent return fraud. 3S Smart Barcode, effectively stops invalid returns, offers product visibility with real-time analytics from Product ID Live, and provides more accurate inventory calculations by rejecting invalid returns and giving more precise store and item sales and returns data. OCR Canada Ltd. Announces Recent Acquisition of QSG, Inc.